When I first heard about Branson’s 10,000-acre privately owned nature park, Dogwood Canyon, a few things sprung to mind. It conjured up images of Africa’s widespread private nature reserves, quite rare in America. Owned by Johnny Morris, founder of Bass Pro Shops, I also likened it to the Disneyland of nature areas. 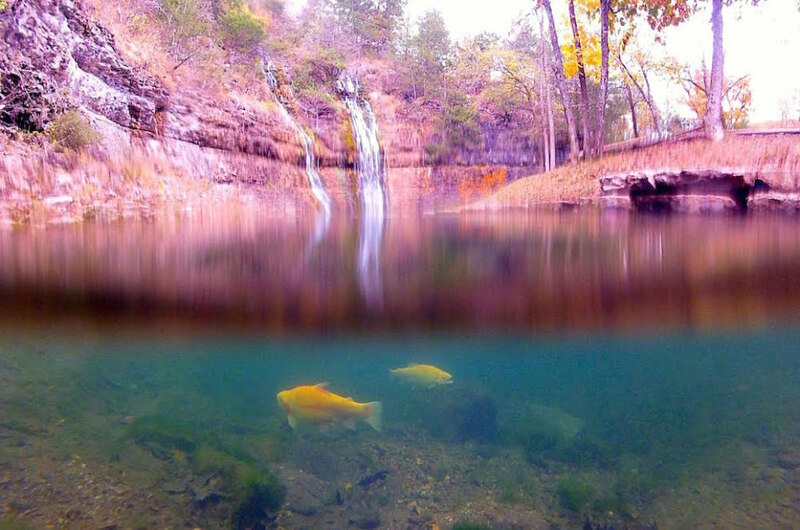 What it turned out to be was an oasis among the Ozarks. 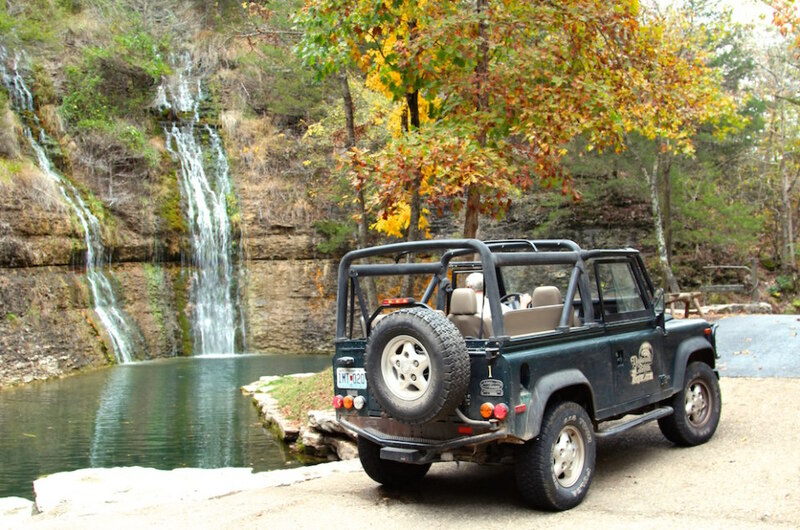 Dogwood Canyon essentially combines all the best parts of your favorite parks under one roof, or canopy, so to speak. You get the wildlife that you’d expect from a national park, the fishing of a national forest, and the trails of a state park all rolled into one. 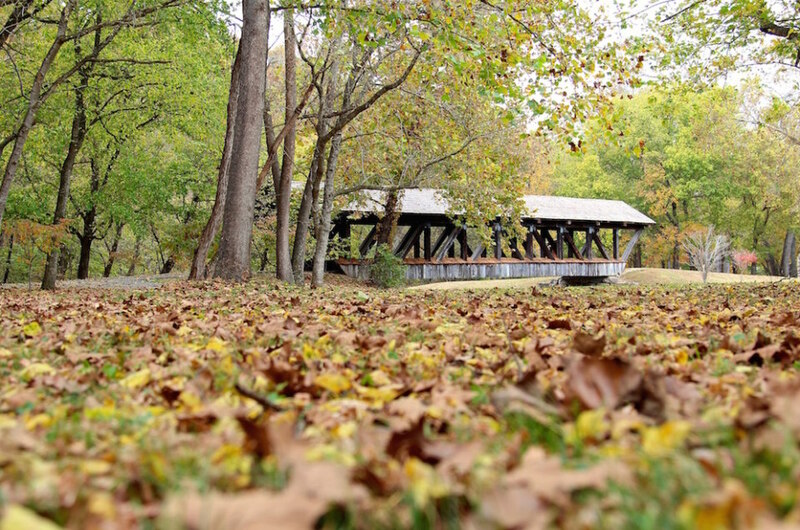 Dogwood Canyon’s paved trails are most popular with walkers, hikers, and bikers, which cover almost seven miles round-trip. If you’d prefer to make your own path, there are plenty of places to stumble upon waterfalls, fishing streams, bridges, and even an old chapel. Bring your own bicycle, and the cost of admission is the same as someone walking in, otherwise it’s just a few dollars extra to rent a bike there. Segway tours are also offered daily. One of the more unique activities you can do is fishing for rainbow trout in their spring-fed creeks. There is one section for self-guided trips if you want to go at it on your own (with rental gear and licenses available for a nominal fee), or they offer guided trout fishing on weekdays with a reservation. Also unique to Dogwood Canyon are two-day fly-fishing schoolsavailable several times per month. When I’m visiting a nature park, though, I want to go off-the-beaten-path so naturally the Jeep tours were the most appealing. Jeeps and trams are really the only way to visit the wildlife section of the park, which isn’t accessible to the walkers, bikers, or hikers for obvious safety reasons. When they advertise wildlife, they mean it — expect to see white-tailed deer, elk, longhorn, and bison. While the tram also visits the wildlife park, I preferred the Jeep because it was more private, usually just me and the driver (and never more than a handful of people), but also because it was the only way to visit some of the more remote sections of the park only accessible by horseback or 4×4. After waiting for a herd of buffalos to cross the road, we started winding through the canyon before coming to an unpaved offshoot you wouldn’t even notice on foot. Moments later, we were barreling through streams and past impressive limestone rocks. We traversed hills and weaved under the cover of thick, brightly colored trees before coming out close to the end of the trail, making full use of the all wheel drive. Generally speaking, if there’s only one outdoor adventure you do in Branson, make it Dogwood Canyon. You can enjoy all the activities you’d typically do over the course of an entire trip, in one day and at one place. 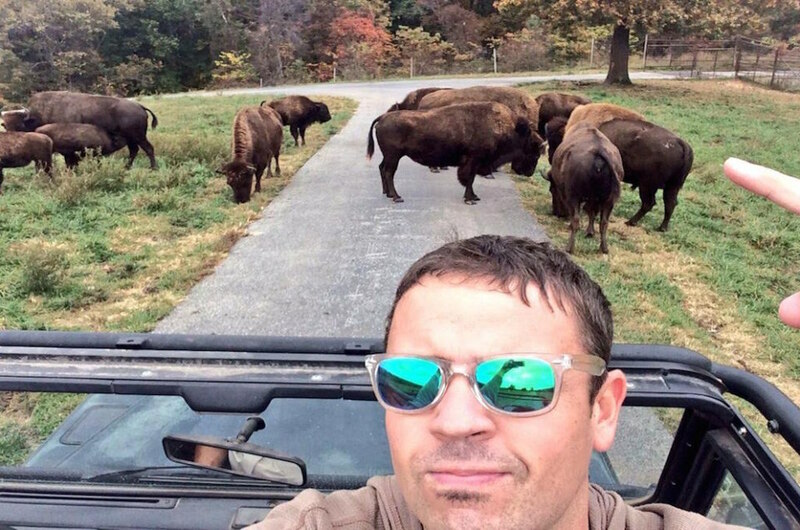 And of course, bison selfies.